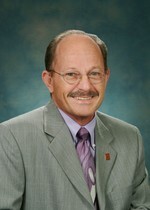 Richard L. Byers II born in 1976 and lives in Brazoria. 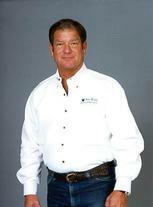 I have been in the Real Estate business(including development, sales, leasing and management in commercial real estate)since 1976 and I am currently working for a firm in Houston owned by Kirk Paschal, Formerly worked with Harold W. (Turk) Eppes from Freeport. His sister married Max Thomas (graduated in 1967) from Freeport. He is part of his company also. I am also the associate pastor of a church in Conroe, TX. I've been doing ministry for over 37 years. Started at Jane Long Elementary in 1961 and then went to the old Junior High in Freeport. Participated in sports as a trainer all through Junior High and High School. My best memories was that I had a permanent pass to leave school because of my diabetes and I would meet some of my classmates at lunch at Ms. Crockett's drive in on 2nd street only to have everyone chased off by Mr. Slade. Of course I just sat there and finished my food because I had my pass and he couldn't do anything. 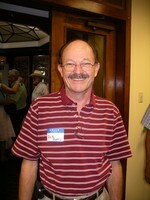 Richard Byers updated profile. View. Richard Byers posted a message. New comment added. Want to come to reunion but don’t know how to register. Will be in LJ tomorrow. Contact # is 832-725-3040. Thanks. Richard Byers posted a message. Richard Byers has a birthday today. Richard Byers has a birthday today. New comment added. Sally you have always been one of my favorite friends. Since we were neighbors growing up, we have had a lot of time spent together. I have been praying from time to time for you since I last heard about you. I hope all is well with you and that the Lord is blessing your life and family. Wm. (Bill) Miles Self posted a message on Richard Byers' Profile.